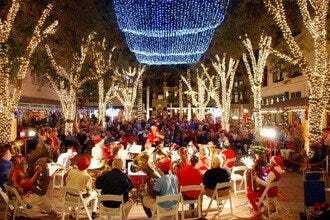 The Holidays in Naples: Twinkling Palms, Theater, Boats and... Snow! 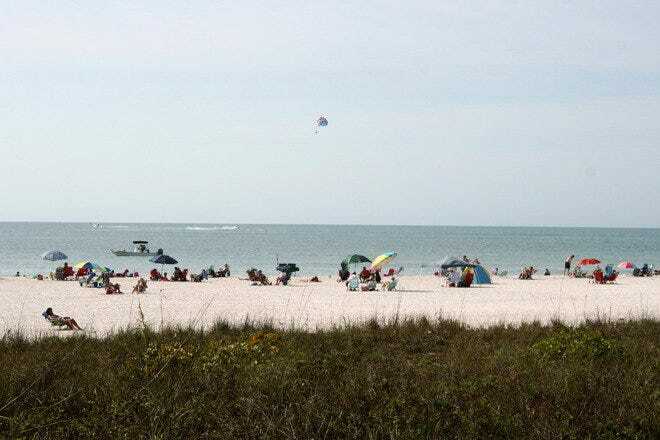 What at first glance might appear a high-rise resort beach destination, Marco Island, just south of Naples, actually widely varies its offerings to vacationers. It stands out in two ways that expand its appeal beyond the beach: history and water sports. Its history dates back to ancient times, when it served as a capital for the Calusa culture. In 1896, archaeologist Frank Hamilton Cushing made an earth-shaking discovery of rare artifacts from the by-then-extinct tribe. One artifact, the Key Marco Cat, has especially stirred the imaginations of visitors and historians across the nation. The 6-inch wooden carving, along with other finds from the excavations, has resided at the Smithsonian Institution since. In December 2018, however, the Cat returns for a special exhibition at the Marco Island Historical Museum through April 2021. On the island's east end, visitors can experience the dizzying, San Franciso-esque heights of the shell mounds the Calusa built. 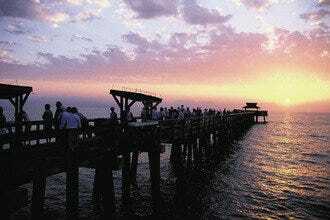 Marco Island's other reputation has to do with its watery surround of Gulf of Mexico, Marco River, Rookery Bay and the vast, wilderness region known as Ten Thousand Islands. Boating, fishing, kayaking and other water sports define the island and its spirit of high-seas adventure. 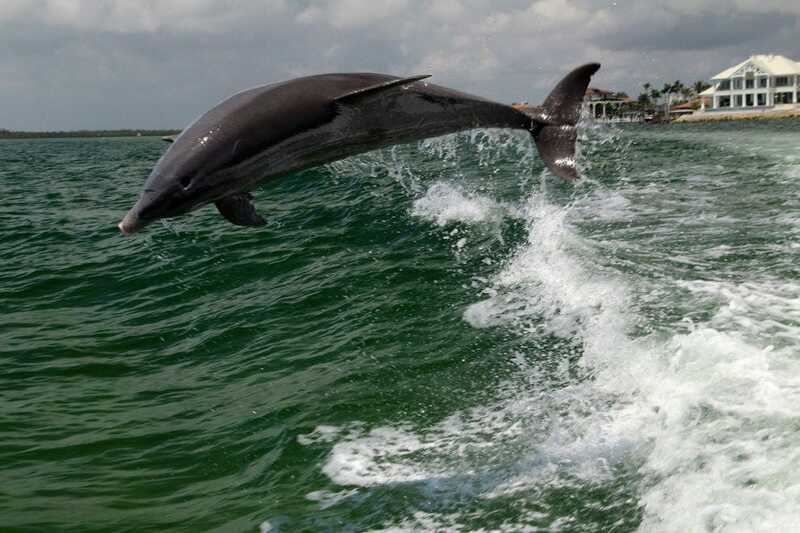 Marine life enriches the nautical flavor with dolphins, manatees, rays, tarpon and hundreds of species of birds. 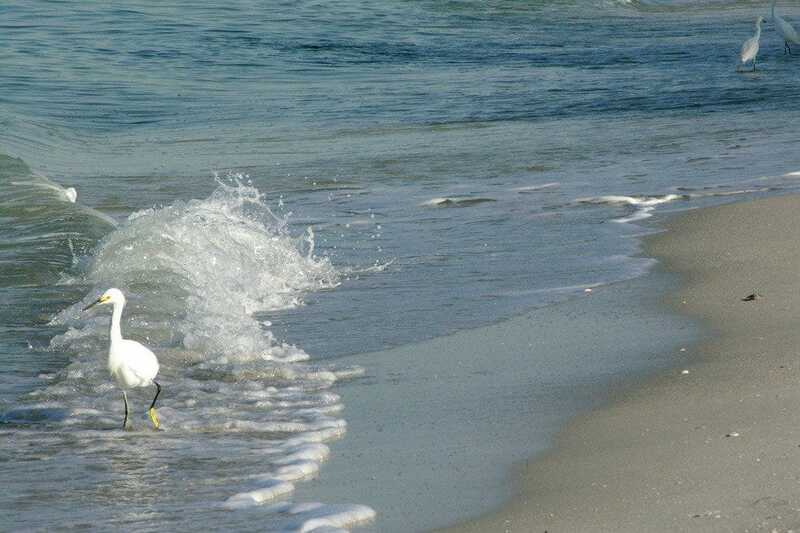 Even at its beaches and in it parks and backyards, birders find rare birds such as plovers, bald eagles, roseate spoonbills and burrowing owls. Finally, there's Goodland: In contrast to the polished resort area, it survives as a reminder of the island's bygones as a small fishing village. Funky and unassuming, it unabashedly parties in its handful of fun-time bar-restaurants. 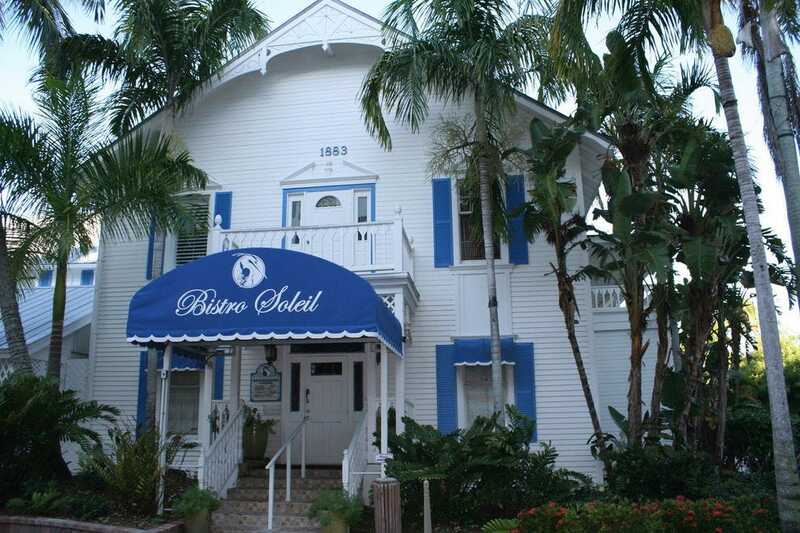 Marco Mystery & History, as the name hints, combines elements of Marco Island history and ghost stories for a spooked two-hour trolley tour with Martha Horror, an actress and your personal guide. Stops include a 340-year-old Indian burial mound, haunted inn and cemetery. Tours run from October through March; private tours are available year round upon request. Along the way, hear tales of the curse of Capt. William D. Collier, the Key Marco hanging tree, hostile native tribes, lawlessness, mysterious disappearances and murders, many of which remain unsolved to this day. The ticket price includes a complimentary pre-tour cocktail at the Olde Marco Inn. 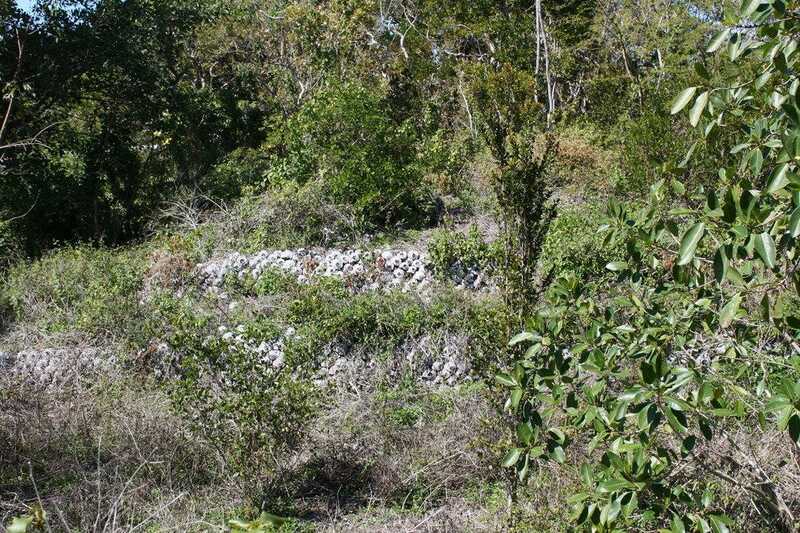 Shell mounds such as this once pimpled Southwest Florida landscape, particularly on Marco Island, which was a major headquarters for the ancient Calusa tribe. This hidden Calusa archaeological site and its short interpretative trail along a mulch pathway tell the story of the aboriginal Indians who once inhabited this area. The land's later owner, Ernest Otter, used the hundreds of whelk shells they left behind -"evidence of their shellfish-rich diet" - to line terraces around the property in the 1940s and beyond. An abundance of the ancient whelks still lie strewn alongside the path and shore up the ancient mound. Beautifully appointed, the 90-foot Marco Island Princess sails daily for sightseeing, lunch, dinner and sunset cruises into the Gulf of Mexico. 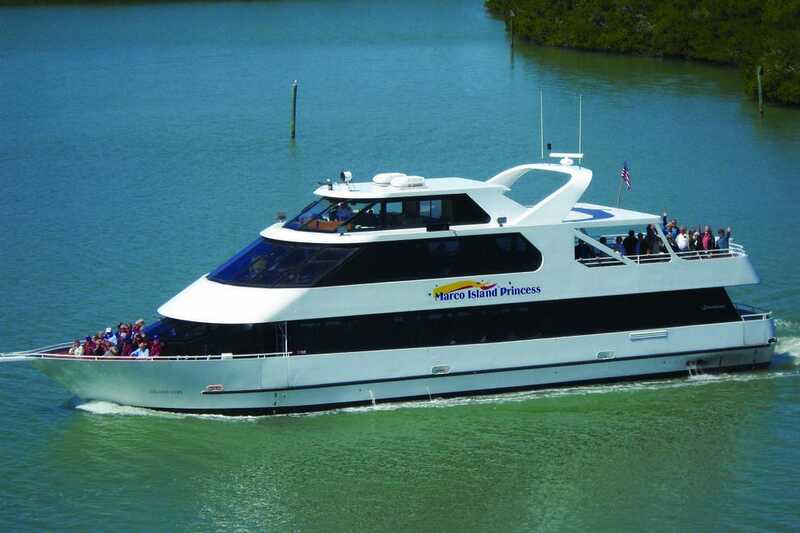 Narrated sightseeing and luncheon cruises point out the area's natural and historical assets. Dolphins, birds, sea turtles and manatees often entertain. Meals are prepared fresh on board and are served buffet style. Dining cruises include a Nature & History Lunch Cruise, Captain's Sunset Dinner Cruise (with the choice of one entree) and Admiral's Sunset Dinner Cruise (with the choice of two entrees including prime rib). The ship holds two full cash bars. Enjoy open air or climate-controlled sailing. 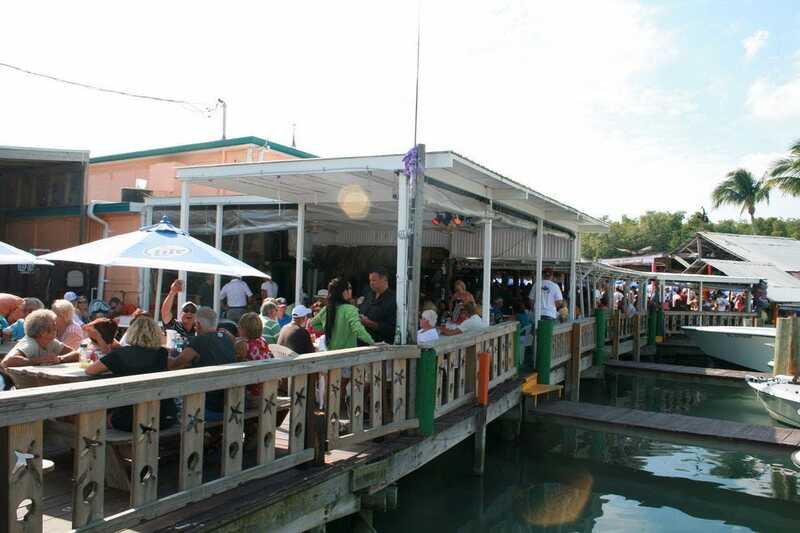 At the eastern end of Marco Island, things revert to an era of commercial fishing and funky fun. Consider that the official Goodland dance is the Buzzard Lope and at one of its annual festivals, Spammy Jammy, folks dress in PJs and create dishes and sculptures out of Spam to appease the hurricane gods. That's Goodland. The annual Mullet Festival in January is another reason to party at Stan's Idle Hour, but every Sunday during season, the landmark, waterfront spot throws a crazed outdoor party. It's one of the eating and drinking establishments that give Goodland its good-time reputation. Others come to find experienced charter captains to navigate the backwaters and find fish. Public beach access is limited on Marco Island. This one, at the southernmost end of the island, is easiest to get to and find, although there is a bit of a walk from the parking lot on the other side of Collier Boulevard. Marco Island boasts a soft sugar-sand brand of beach, wide and usually teaming with activity - volleyball, jet-skiing, parasailing, paddle-boarding, you name it. Setback high-rises line most of the shoreline. Native vegetation grows between development and the sand. The only facilities are restrooms in the parking lot, but there is a restaurant next to the access where you can use the restrooms if you're eating or drinking. At Marco Island's northern end, a sand spit peninsula intercepts the sand, stealing the beach from the main island. 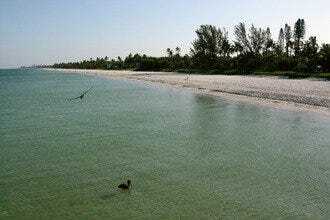 That Sand Dollar Spit is accessible from Tigertail Beach, the public access operated by Collier County, and is known for its abundance of seashells. Meanwhile at the Tigertail main beach, a lagoon has formed at the public access. It fills with birds, especially in the morning breakfast hours. 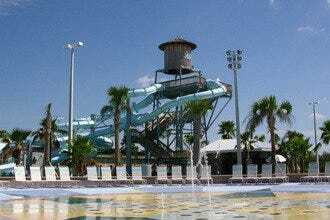 The access also has playgrounds, water sports rentals, a food concession and restrooms. To get to Sand Dollar Spit, you can swim across the lagoon or walk south to where it connects to land. The Environmental Learning Center at the reserve does a stellar job of interpreting the habitat of the estuary in a modern, state-of-the-art facility. 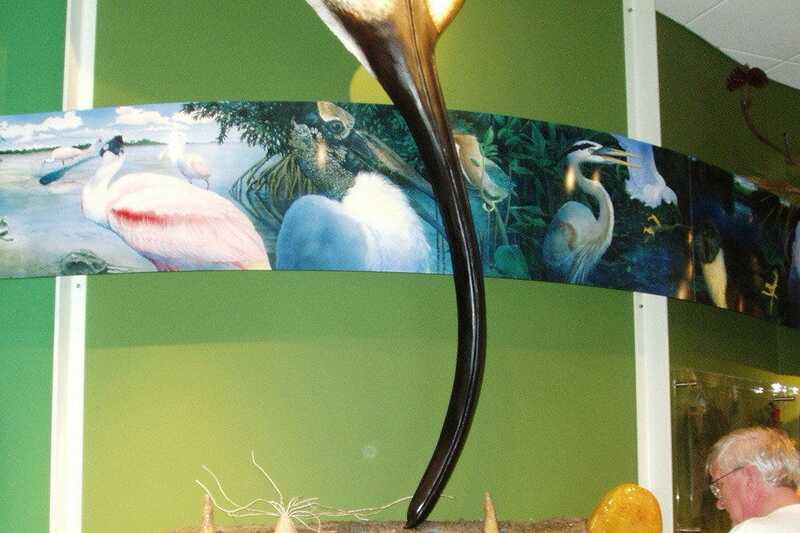 The first floor holds a gallery that hosts changing exhibits of wildlife art in addition to its gift shop and an impressive, inviting gallery of interactive exhibits that include a 2,000-gallon aquarium built into roots of a recreated mangrove tree, plus a touch tank and beautifully executed exhibits. Upstairs, explore the Naples area's timeline and visit a Cracker shack to listen to human history. Then take the bridge to a short nature trail on the other side of Henderson Creek. The center also hosts guided walks, kayak tours and other education programming. Part citizen-science research boat, part sightseeing tour, the Dolphin Explorer takes visitors aboard as a way to continue its 10,000 Islands Survey Team Dolphin Project. If there's a tour where you're going to see dolphins, this is it, because the researchers know the populations by name �– and size and the markings on their fins and tails. The large pontoon boat scans the waters in the bays and estuaries around Marco Island. The researchers on board get pictures of each one they spot, with the help of passengers. Anyone who spots a new dolphin gets to name it. On the way, passengers hear lessons on dolphins and other sea creatures from an on-board naturalist. The excursion includes a shelling stop on a barrier island and complimentary family and group photos. At the edge of Ten Thousand Islands, Marco Island is surrounded and riddled with scenic waterways that take you away from the condos and concrete of the resort area. 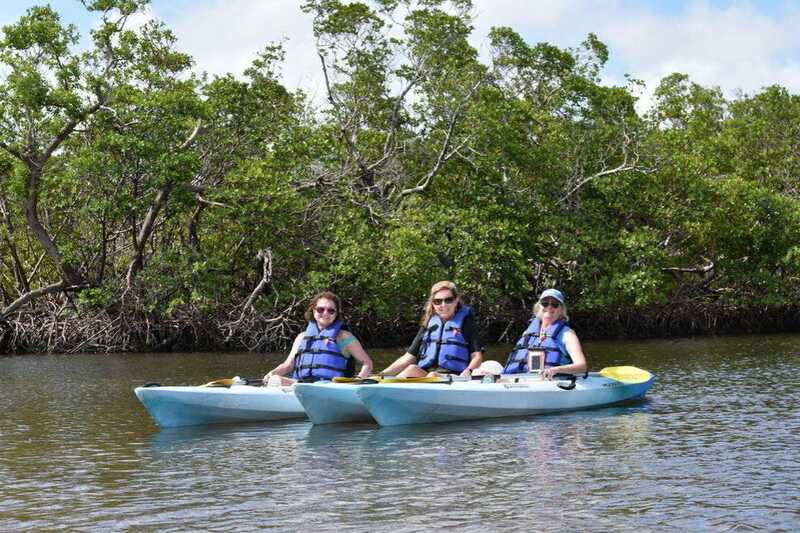 Paddle Marco launches its 2.5-hour Mangrove Canopy Paddle from the Paddlecraft Park between the main island and Isles of Capri. It winds through an estuary maze where a number of birds, shells, fish and other marine creatures live. Or rent a kayak or paddleboard for your own adventure from Paddlecraft Park or Caxambas Park. Rentals start with a minimum of two hours, and daily and weekly rates are available. The importance of Marco Island to ancient Calusa Indian civilization, which spread throughout Southwest Florida and even into the Keys, was established in 1896 by archaeologist Frank Hamilton Cushing in what has been called one of the most significant archaeological discoveries in North America. The celebrity of his excavation finds was a 6-inch wooden effigy that's come to be known as the Key Marco Cat. The original currently resides in the Smithsonian Institution, it will come home this year for a nearly 30-month special exhibition, along with other finds from the landmark dig. A permanently, super-sized bronze replica presides over the museum's courtyard, which was constructed to simulate the tribe's shell mounds. Artist paintings illustrate local history in outside's Windows & Doors to History exhibit. Inside the still-developing museum, two permanent exhibit rooms are devoted to Calusa culture. 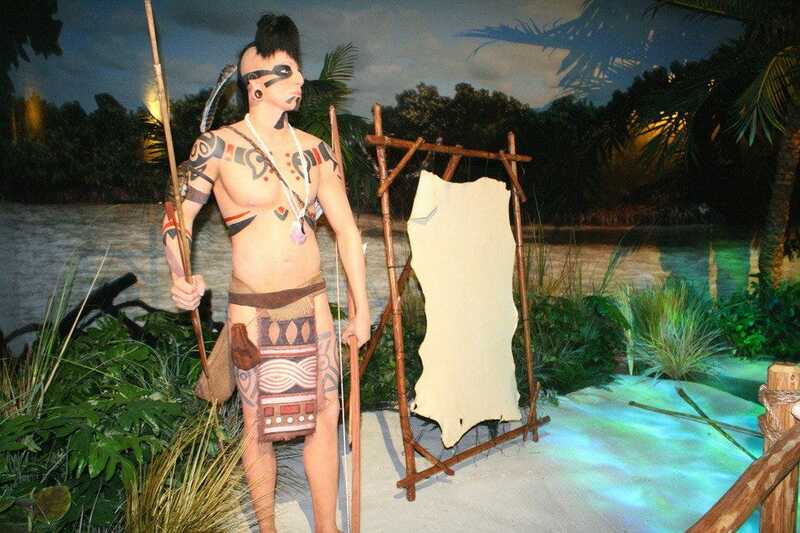 The Calusa and their Legacy exhibit revolves around a recreated Calusa village with a temple and other realistic vignettes.